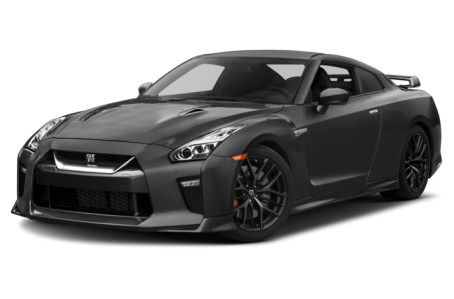 The 2018 Nissan GT-R is a high-performance supercar that competes with the Porsche 911 and Chevrolet Corvette. It is powered by a 565-hp, twin-turbocharged 3.8-liter V-6 mated to a six-speed dual-clutch automatic transmission and rear-wheel drive. It produces 467 pounds-feet of torque.